Cosmetic surgeons have always fielded seemingly odd requests to recreate body parts from celebrities: Angelina Jolie’s lips,David Beckham’s calve, or perhaps Salma Hayek’s breasts. Teens today, however, are a different breed. Whereas a decade or two ago, looking like their favorite celebrity — or at least the version that’s airbrushed to within an inch of reality — might have been the request du jour, today teens want to look like their favorite Snapchat filters. Dr. Neelam Vashi, director of the Ethnic Skin Center at Boston Medical Center coined the term “Snapchat dysmorphia” to explain the worrying new trend. And it’s beginning to lead to real issues. Body dysmorphia, for example, is a condition that involves “excessive preoccupation with a perceived flaw in appearance, classified on the obsessive-compulsive spectrum.” Snapchat dysphoria is an offshoot of the same condition. 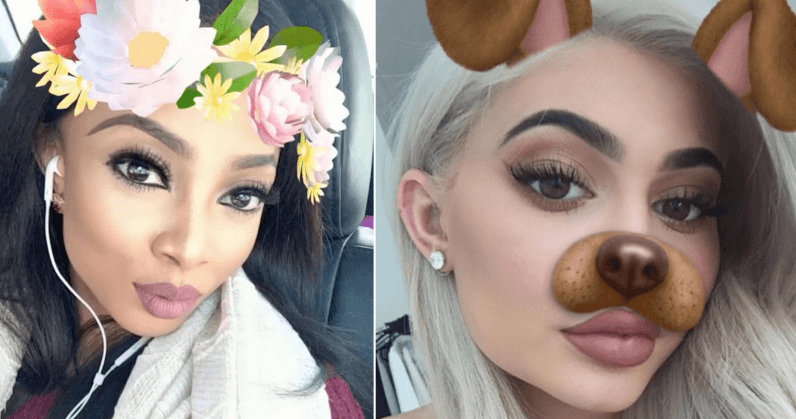 Teens, who once focused on things like the size of their nose, for example, are now hypercritical of completely normal lines, blemishes, and imperfections masked by Snapchat filters. While surgeons are hesitant to complete these types of procedures on still-developing children, the American Medical Academy of Facial and Reconstructive Plastic Surgery says 55 percent of clinicians saw patients who “wanted to look better in their selfies” in 2017. This signifies a 13 percent increase from the previous year. Vashi told Inverse that rhinoplasty — a common nose job where surgeons shave the bump and bridge of some noses — used to be fairly common. Now, people are inquiring about what it would take to look more like they’d see themselves when applying the butterfly or flower crown filter. “People have asked me to reshape their nose, or give them fuller lips. But it’s usually asymmetry they want corrected,” she said. Asymmetric faces, by any measure, are perfectly normal. Symmetric faces, however, are those often seen as the most attractive. And while Snapchat doesn’t make asymmetric faces more symmetric, it does reduce the appearance of fine lines, wrinkles, and blemishes by smoothing and brightening the underlying tissue, thereby reducing the appearance of asymmetry in certain faces. And this symmetry, apparently, has some willing to undergo expensive procedures in an attempt to look more like an idealized version of themselves.